Contact Us for a FREE Trial hour! Education continues throughout the summer with Mathnasium’s summer programs for Hamilton and Wenham MA, students! Summer break leaves quite a long gap in learning — often referred to as “summer slippage.” Mathnasium makes sure curriculum continues over the course of the summer for your student. If you’re looking for educational summer programs near Wenham or Hamilton, MA, then enroll your student at Mathnasium’s learning center for a summer break to be remembered. What makes Mathnasium’s programs effective? Hands-on learning. We’re very selective when it comes to who tutors at Mathnasium. Our certified tutors undergo training in interactive, hands-on instruction, so that students remain interested in subject material. When students are interested in what they’re studying, they’re far better at retaining and internalizing concepts. This is key in effective learning. 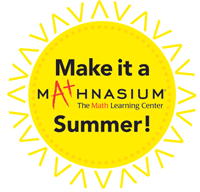 Prevent summer slippage, prepare for next school year and keep your student occupied this summer at Mathnasium. Registration* in Mathnasium’s Wenham and Hamilton, MA, summer programs includes 16 one-hour sessions. Sessions can be taken back-to-back or over the course of the summer. Just schedule at your convenience. * Early Birds — 4/1 registration = 10% discount | 5/1 registration = 5% discount. The summer programs for Hamilton and Wenham, MA, help students make the most of the summer break. With 16 one-hour one-on-one or semi-private sessions, students receive unique tutoring tailored for their specific needs and skill sets. …And we have fun too! Enroll in our Hamilton Wenham summer programs and master math concepts and fundamentals for success at any level.